Another one of those meals I've never made but kind of always wanted to. I guess the closest thing to quiche I've made is the cheeseburger pie recipe on the back of a Bisquick box which actually isn't too bad! This week for Food A-Z project the letter was Q. If you've ever tried to find a food that starts with Q you'll know that there's really not much out there. Quesadilla was my 2nd choice. 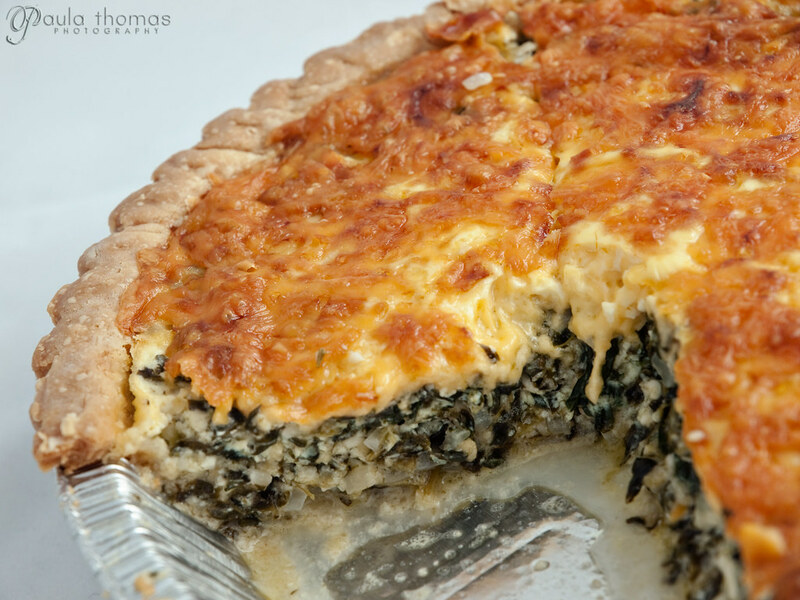 So I searched the interwebs for a good looking quiche recipe and happened across a spinach quiche recipe on allrecipes.com. The only changes I made to the recipes were leaving out the mushrooms and I used herb feta instead of garlic and herb feta. I used an extra clove of garlic to make up for it. 2. In a medium skillet, melt butter over medium heat. Saute garlic and onion in butter until lightly browned, about 7 minutes. Stir in spinach, feta and 1/2 cup Cheddar cheese. Season with salt and pepper. Spoon mixture into pie crust. 3. In a medium bowl, whisk together eggs and milk. Season with salt and pepper. 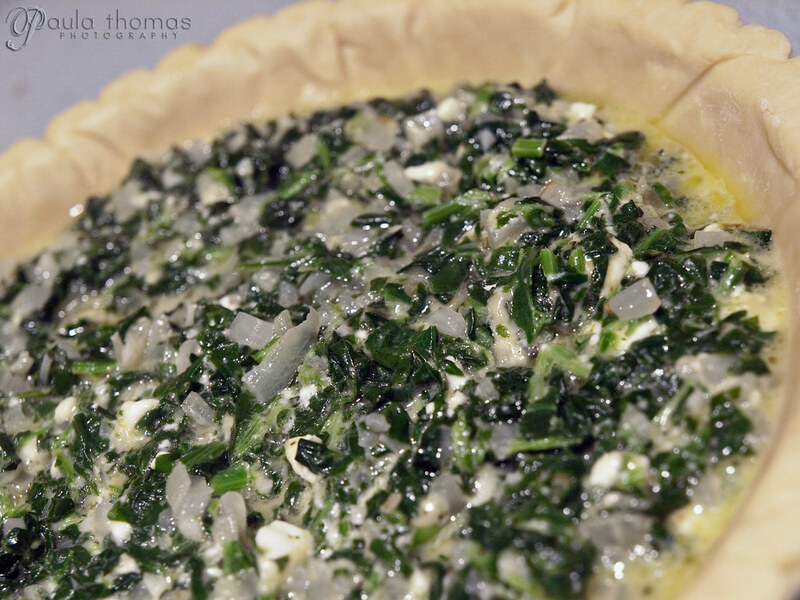 Pour into the pastry shell, allowing egg mixture to thoroughly combine with spinach mixture. I thought it turned out pretty tasty but would make a few changes if I were to make it again. I had a fair amount of cheddar cheese left over and also some of the egg/milk mixture. There was a just a bit of excess liquid in the bottom of the pan so I think decreasing the milk and butter a bit would help with that. I would definitely try this recipe again. This was before adding the milk & egg mixture. You can see there is some excess butter that might benefit without. You can also see some of the excess liquid in the bottom of the pan here which I think with a little less butter and milk could have been avoided and would give a crispier bottom crust. What do you use to light the food? Do you use studio lights, strobes, or something else? I usually just bounce a strobe off the ceiling but for the quiche shots we tried out the Steve Kaeser 30" light tent we just got. We just used one strobe shot into the side of the tent. 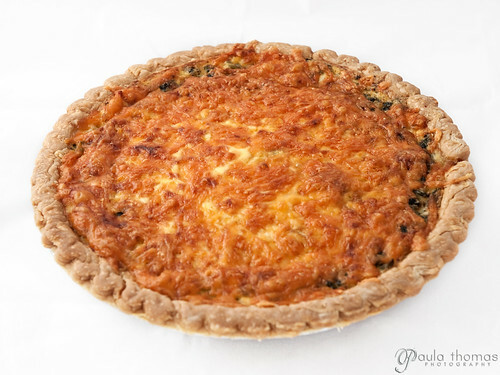 The golden brown feta & cheddar look scrumptious together. Cheers to Q!